Hi I have had these earrings for many years.They look and feel very grand. 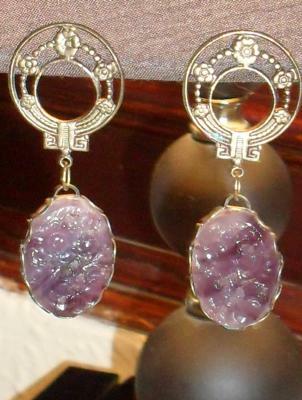 I like them very much I was told they could be Rene Lalique. There is a mark on the back but it is so small, even with a loupe it is hard to tell. They may even Bohemian any help would be appreciated.